Rockstar has outlined some of the changes being made to Red Dead Online, the ambitious multiplayer component of Red Dead Redemption 2, which is still in beta. On 26th February, the publisher is looking to introduce a few tweaks to the service, including the promised reworking of how players see each other on the map. With this update, player "blips" will only show up when they're within 150 metres of your position. Also, highly aggressive players will become more visible if they continue to cause trouble. 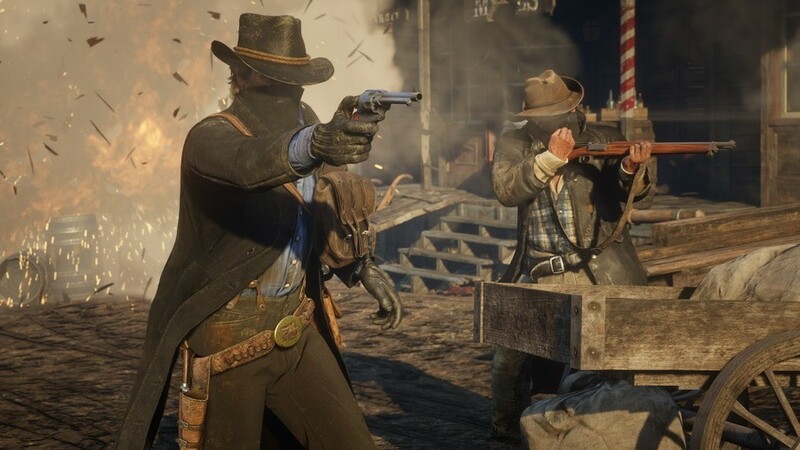 If you go on a killing spree in the open world, you and your posse members will have your markers turn darker, from blue to dark red. In addition, rivalling posses will be able to instigate Parley to settle things peacefully, or Feuds, which essentially will initiate a miniature death match. Another feature outlined is AI-controlled bounty hunters. If you've been a naughty outlaw, you can expect bounty hunters to come after you and your posse. Obviously this depends on what you've been up to, but it's another wrinkle to the moment to moment gameplay. Finally, daily challenges are coming to Red Dead Online. These will be a variety of optional tasks that'll reward you with gold nuggets and XP. 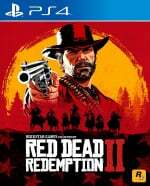 "Challenges will range from foraging for herbs, selling items at a Fence, hunting and skinning animals, clearing hideouts, winning Feuds and so much more," reads Rockstar's post. There's more detail through here if you're interested. Do you like the sound of these changes to Red Dead Online? Reach for the sky in the comments below. I hadn't been on Red Dead Online for weeks. Logged in the other night and immediatly after stacking my horse Kelpie up with perfect animal skins and carcasses, some clown lobbed dynamite and blew us up. Logged off. I haven’t even been pass chapter 3 in the main story yet due to not playing the game for a few months. By the time I’ve competed the main story the online will probably be completely different the way it is now with more content and stuff with the constant updates. They have to concede and introduce private sessions. Also, beta notwithstanding, a rather slow and uninteresting growth for a 3 months game. @Frigate but for reals, nah. I wouldn’t get my hands dirty taking down small fry. Yawwwwwwwn I wish rockstar would go back to their old ways and ONLY focus on single player. Online needs so much. A big open world that feels so empty and with everything so far away. Too few of locations with shops and places to sell stuff. No private invite only play option. Really sad when compared to GTA online. Maybe the biggest need for online, and story as well, is a 3rd speed. That is a speed between the sloooow walking and the fast running. A full press on the analog stick would produce the fast walk. A half press would produce the current slow walk. Also the option to disable the dof effects that makes stuff look blurry is needed for story and online. It will take something pretty major to get me back into online now, and this isn't it.